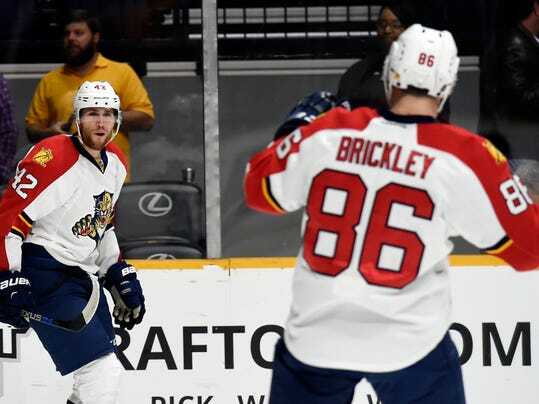 NASHVILLE, Tenn. (AP) — The Florida Panthers finally ended a long losing streak in Nashville. Roberto Luongo made 32 saves to lead the Panthers to a 2-1 win over the Predators on Thursday night. Quinton Howden and Jonathan Huberdeau scored for Florida, which won its fourth straight despite being outshot 33-16. The Panthers snapped a nine-game losing streak in Nashville, winning here for the first time since Dec. 11, 1999. Roman Josi had the Nashville goal and Pekka Rinne had 14 saves. The Predators lost for the third time in four games.